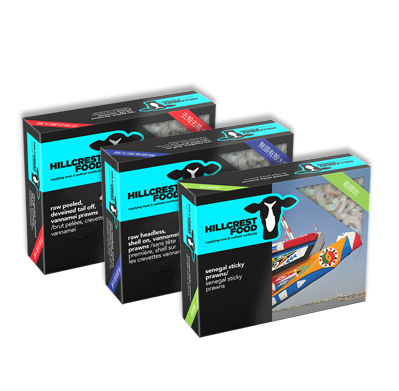 Hillcrest Food Ltd. has been operating since 2000, the company was formerly known as Tillingbourne Foods Ltd. but has recently changed name and location following a change of ownership. Our head office is based on a 13 acre farm in the Surrey countryside, with onsite facilities for product testing and development. Two production and storage sites based in Le Havre, France and Sussex in England prepare most of our finished products for customers. 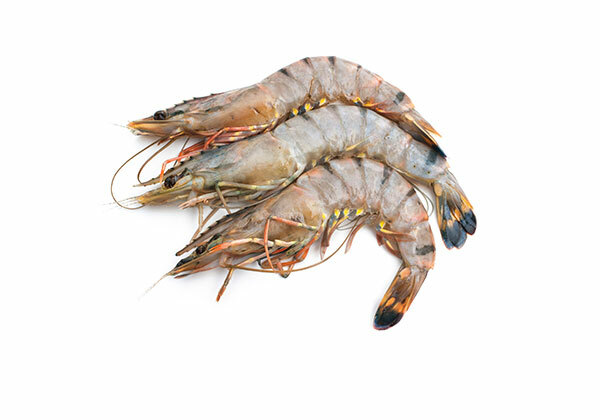 Our main activity is the supply of cuts and prepared product in meat and seafood to the retail and catering food industry in England, France and overseas French territory. Our recent re-branding and marketing campaign will help us to grow our business with new product development and ongoing sourcing research from all over the globe. “Le Havre Vue Plage 14 07 2005“. Licensed under CC BY-SA 3.0 via Wikimedia Commons. Our Recent rebranding and marketing campaign is showcased across our packaging range. 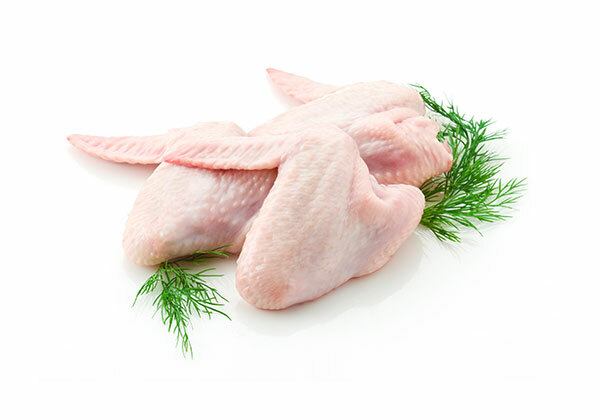 We supply a wide range of cuts and different specifications to customer requirement in each family of product. 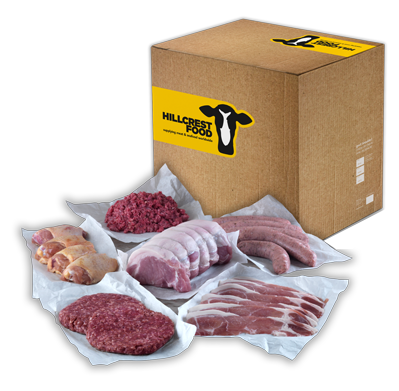 From portioned and calibrated diced and sliced of beef or lamb to a branded retail bag of chicken breast, or a traditional burger. We have a long and continuing relationship with the quality department at our partner factory in Le Havre. The arrival and delivery of our product is subject to rigorous quality control. Bacteriological and quality tests occur on a daily basis. 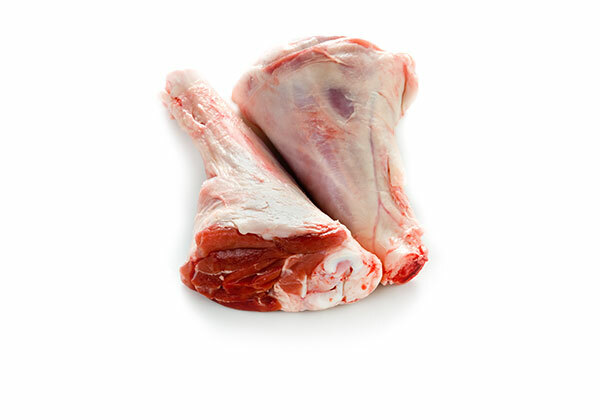 We operate a full traceability system on all of our stock. All our raw materials are sourced from EU approved factories for export. All our packaging and production is subcontracted to manufacturers with either IFS , BRC or ESFIS approved plants. Our recent change of name and logo has given us the chance to develop and invest in new packaging ideas. 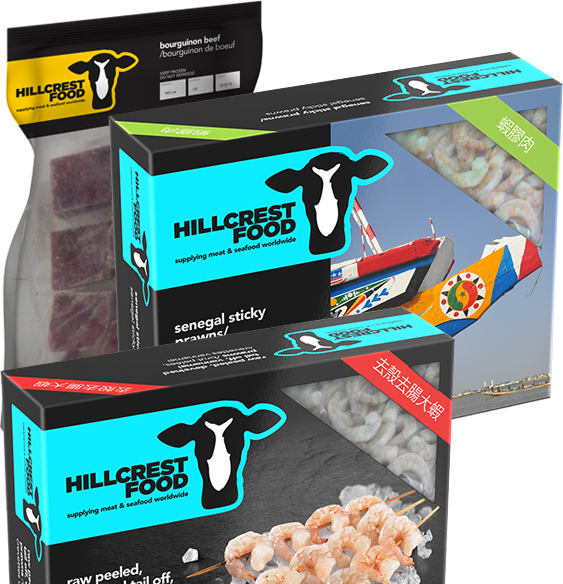 We have focused on marketing our own brand of selected meat and seafood products under the new Hillcrest design. We can also pack using any customer’s brand for different markets and countries. Neutral , plain packaging is also available, according to budget. 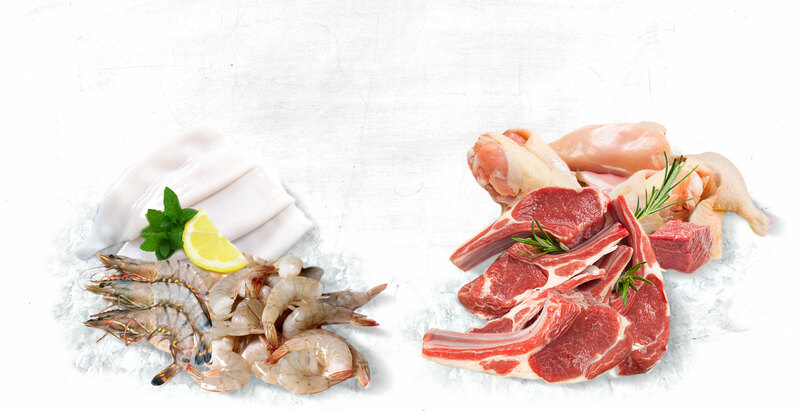 Some of our different packaging for meat and seafood is shown below. 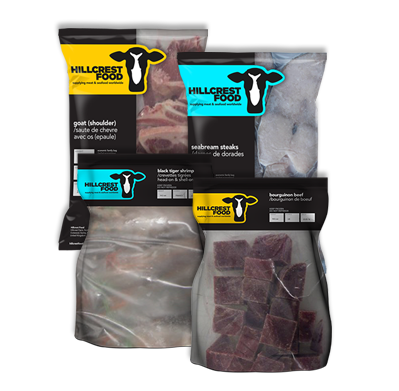 2014 © Hillcrest Foods Ltd. All rights reserved.